ASIA PACIFIC INSTITUTE FOR EVENTS MANAGEMENT. Aims to professionalise the events industry in the region. APIEM is able to work with colleges and universities to design and develop courses in MICE/events management that are relevant for careers in Asia Pacific. These courses will be of an international standard but contextualised to national requirements. APIEM is able to accredit existing courses in MICE/events management that are of an international standard and to award Centre of Excellence status to the college or university that offer these courses. APIEM is able to design one or two day training courses for client organisations that want to improve the workplace skills of their employees. Various APIEM membership categories are available for students and MICE/events management professionals who want to join APIEM to contribute to the professionalization of the MICE/events industry in Asia Pacific. The courses that APIEM offer will be designed to an international standard ensuring that students who take these courses will be well-prepared to pursue a career in the global MICE/events industry. The APIEM Advisory Board provides events industry and education endorsement for the work of APIEM. The Advisory Board members are senior executives from internationally recognised organisations. 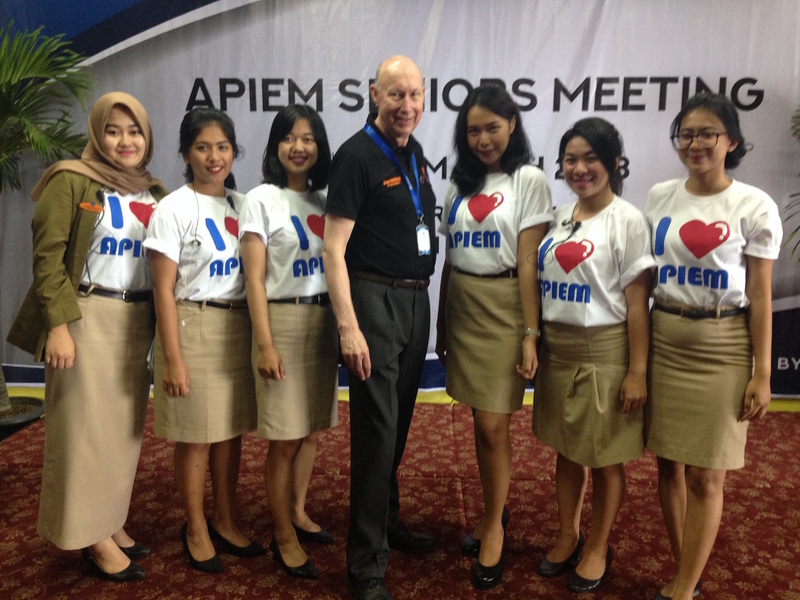 It is great to see students at the Bandung Institute of Tourism (APIEM`s founding partner in Indonesia) `LOVING APIEM`. APIEM was officially announced at the Asia Tourism Forum Conference held in Bandung on 8 May 2016. Since then APIEM has gone from strength to strength. Students on recognised courses can be assured of the relevance of their qualification for careers within the events industry. Events industry employers when recruiting new employees who have studied on a APIEM endorsed course can be assured that the programme of study has been assessed by the APIEM as being appropriate and relevant for the events industry. Universities, colleges and training providers can use their APIEM recognition as a means of recruiting and retaining learners. Universities, colleges and training providers can demonstrate to events industry organisations that their courses have been assessed through a rigorous process of accreditation to recognise excellence in events industry education. Interested on how to follow APIEM Programs.